Both parts washers are ideal for the safe and rapid removal of caked-on gunk, but we offer two sizes to fit your needs. The RS-700D holds three more gallons of water than the RS-500D and boasts a larger cleaning centre for heavier-duty parts. The "smaller" model is no slouch, however, and it will deliver a superior clean to most vehicle components. Clean it better with Ranger! This 189-L (50-gal) capacity spray wash cabinet rapidly degreases dirty parts, including larger truck/SUV engine components. Comes with a free bucket of detergent. ALUMA-KLEAN Spray-Wash Detergent / 23-kg. When you use Ranger's premium line of spray wash cabinets, you're going to need a lot of soap. 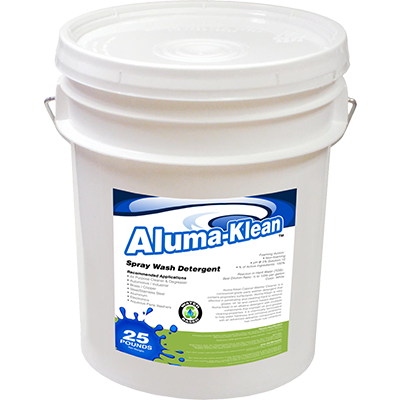 Look no further than Ranger's Aluma-Klean 23-kg. spray washer detergent, designed specifically for all your spray wash needs. Removes oil, stains and grease with ease! Each of our best-in-class industrial parts washers and parts cleaning systems are designed to hold payloads of ​226-kg. to ​454-kg., which means they’ll tackle big stuff like complete transmissions, engine blocks and more with ease. But we’d never stop there. 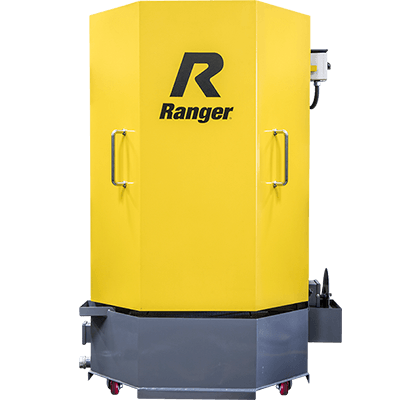 A Ranger parts washer boasts more convenient features than any other industrial spray wash cabinet on the market today. Where others might consider these details to be luxury extras, at Ranger we know that they are essential to hard-working professionals like you. 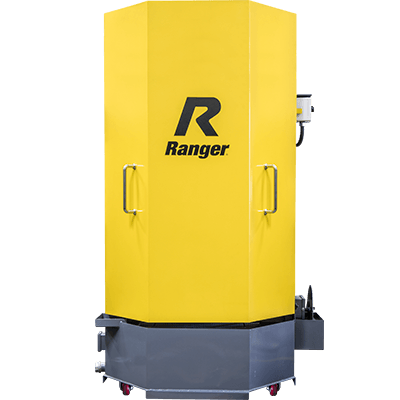 That’s why each Ranger parts washer cabinet comes with a heavy-duty turntable, high-quality brass nozzles, an automatic timer, safety door switch, heavy-duty parts cleaning basket, a removable tree rack, tank drain, heavy-duty casters, multi-directional spray jets and a built-in oil skimming system. 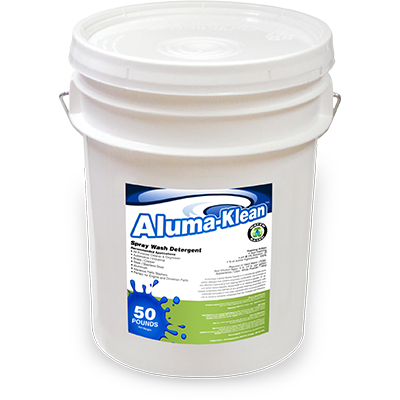 On top of that, we even throw in a ​95-L bucket of Aluma-Klean premium parts cleaning detergent absolutely free. While we take a little grease as a point of pride, your clients will certainly appreciate the immaculate cleaning results brought to them exclusively by a Ranger parts washer.